Israel Policy Insight is an ongoing series of Israel Policy Forum and Israel Policy Exchange. Each installment will feature answers to questions about the past week’s news from an Israeli security expert, bringing their unique perspective on issues of security and diplomacy in Israel, the Palestinian Territories, and the wider Middle East region. Have your own questions? E-mail insight@ipforum.org. This week, Israel Policy Insight highlights the insights of Lt. Col. (Ret.) Orna Mizrahi. Lt. Col. Mizrahi served as deputy national security adviser on the Israeli National Security Council (NSC) in the Prime Minister’s Office from 2015 to 2018. Prior to that, she served in a number of roles on the NSC. In her last position, she was responsible for strategic planning on regional and international policy. Before her career at the NSC, Lt. Col. Mizrahi served in the Israel Defense Forces for 26 years, including as an analyst in the Intelligence Analysis Division of IDF Military Intelligence and as senior officer in the IDF’s Strategic Planning Division. Lt. Col. Mizrahi is a member of the steering committee of Commanders for Israel’s Security and recently joined the steering committee of the Dvorah Forum, a non-profit association for Israeli women in foreign policy and national security careers. She holds an M.A. in Middle Eastern Studies from Tel Aviv University and a B.A. in Middle Eastern History, General History, and the Bible, also from Tel Aviv University. 1. On Sunday, a terrorist killed two of his Israeli coworkers in the Barkan Industrial Center in the West Bank. In the aftermath, we’ve heard that the Palestinian Authority is helping Israeli security forces locate the suspect in the case. What does this sort of cooperation entail, and what is the role of the PA here? It’s a routine. There’s the cooperation between the Palestinian police and the IDF in most of the issues we’re dealing with — catching terrorists — because the Palestinian Authority understands that these terrorist acts are counterproductive for them. It’s not as if they do the best in it, but they do try to help. On the issue of finding terrorists, or trying to prevent terrorist acts, the mutual interest of both sides is to prevent these acts which can be dangerous and harmful to both Israel and the PA.
It’s obvious why terrorism is harmful for Israel, but why would the PA want to help? There are two main reasons. First, a lot of the terrorists are from the Palestinian opposition, especially from Hamas (which is trying to take over in the West Bank as they did in Gaza), so of course the Palestinian Authority doesn’t want them to be part of any kind of sabotage or action like this — so they want to prevent such acts. The second reason is that terrorist action can disrupt the routine of daily life in the Palestinian Authority, and the Palestinian leaders don’t want this to happen. 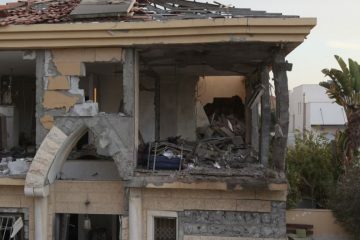 Terrorism is contagious, and acts of terror can bring about unrest in the Palestinian Territories, which undermines the position of the Palestinian leaders. So they want to prevent this also. Usually, the IDF lets the Palestinian police try to solve things by themselves. 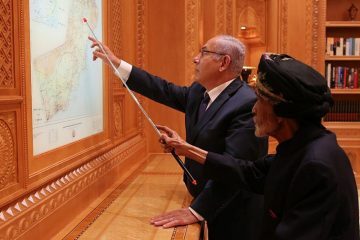 But if it seems they are not doing it well, and the IDF can do it better, then Israel will go in, although the IDF prefer not to go into certain places like Area A of the West Bank — the Palestinian cities — which are areas under Palestinian Authority rule. But if it’s needed, the IDF goes there also. 2. Earlier this spring, massive demonstrations, including some violent rioting, took place in Gaza along the Israeli border under the banner of the Great March of Return. Those protests slowly died down in the lead-up to Israeli Independence Day, what Palestinians call Naqba (catastrophe) Day. Now the border demonstrations are picking up again. Why? The situation was very bad lately. The motivation to come to the demonstrations has a lot to do with the civilian humanitarian situation in Gaza. And when the situation is worsening, the motivation to demonstrate and have riots at the border is deeper. Nevertheless, the Palestinian population in Gaza are very much aware that Hamas shares responsibility for their condition, that Hamas doesn’t care about the humanitarian and economic distress that they are suffering. But they can’t do anything about it. They can’t demonstrate against Hamas or they get killed. So there are bad feelings against Israel, of course. And they demonstrate against Israel, and Hamas inflames the demonstrations against Israel whenever they want to do it. And we must notice that many people prefer not to go to the border in the first place. Many people understand that these demonstrations are not going to change the situation, and it’s not hundreds of thousands of people who are coming to the border — at its peak, it was some thousands of people. 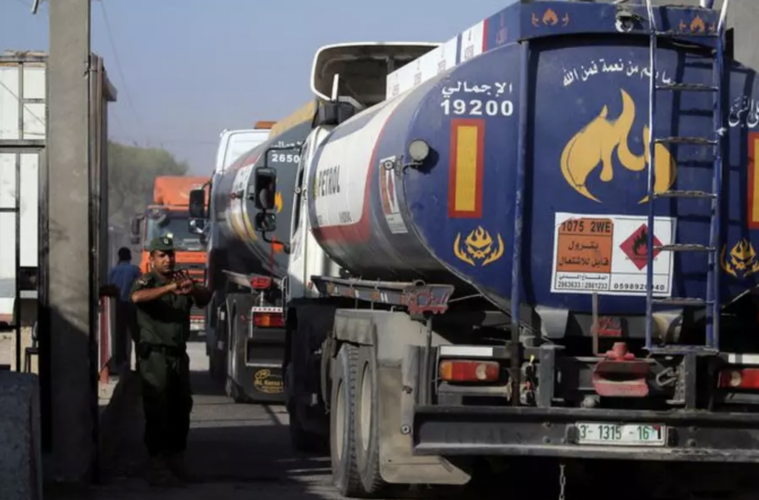 However, what was happening this week is that the Qataris are paying for fuel for the Gaza population, there is an agreement that the UN envoy [Nickolay Mladenov] was involved in, so now fuel is coming into Gaza. It’s been a few days since it started, so we need to look at what happens next. Maybe there will be fewer demonstrations. 3. With U.S. President Donald Trump’s recent offhand comments endorsing a two-state solution and his declared intention to bring forward a peace plan in the coming months, how is the Israeli government handling things? The Israeli government is looking at it and waiting to see what’s going to be in the plan. There are some talks with the Americans to put the Israeli view forward. But what is really left to do is wait and see. Trump said “two-state solution,” and then he will say something else. I don’t think we can learn anything from that, so we really have to wait and see when this plan is brought to light. The Americans are now talking about a few months.